This is a fine example of a nearly new Yamaha upright piano which was bought from us only 8 years ago. The piano has been used, but not played regularly, resulting in a piano which could be easily mistaken for new. The Yamaha C110A is often compared to the new equivalent Yamaha b1 upright piano. There are some differences between them, but overall, the tone, touch and general playability is equal. 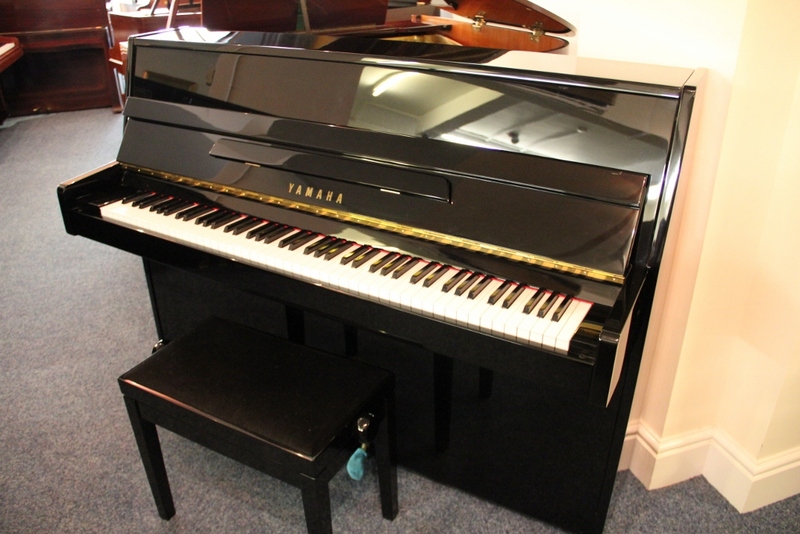 The main difference is the price, here we have a nearly new black Yamaha upright piano for under £2000.